I love blonde hair because the steps to lift the color is fun. 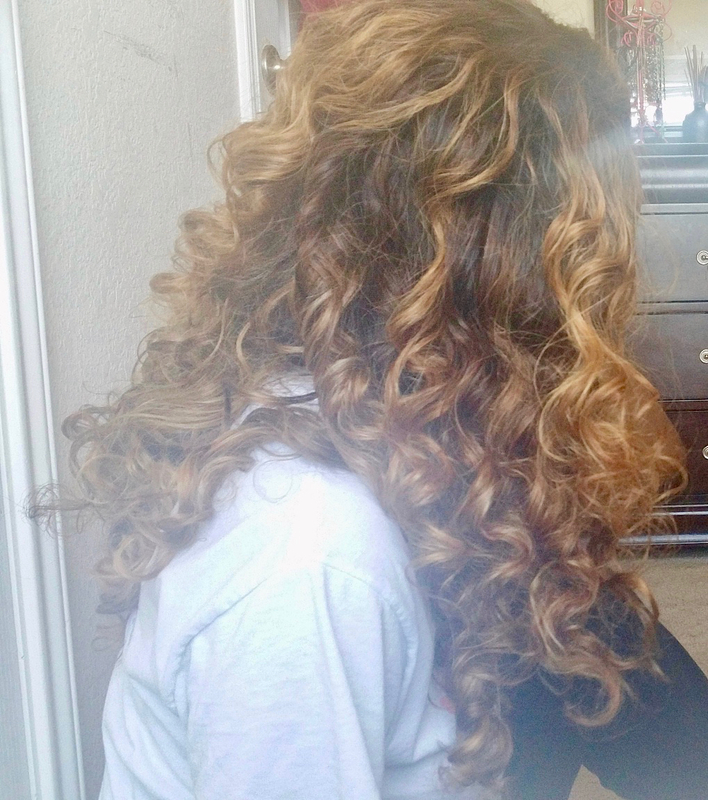 This is a balayage which i lifted three times and also my current favorite hair. ONE: WASH YOUR HAIR LESS. This is a basic mantra for any type of colored hair. Too much shampooing can damage the hair, dry it out and leave it looking frizzy and like straw. Depending on how oily your scalp is, you can alternate your washes and use a dry shampoo to combat oily scalp. 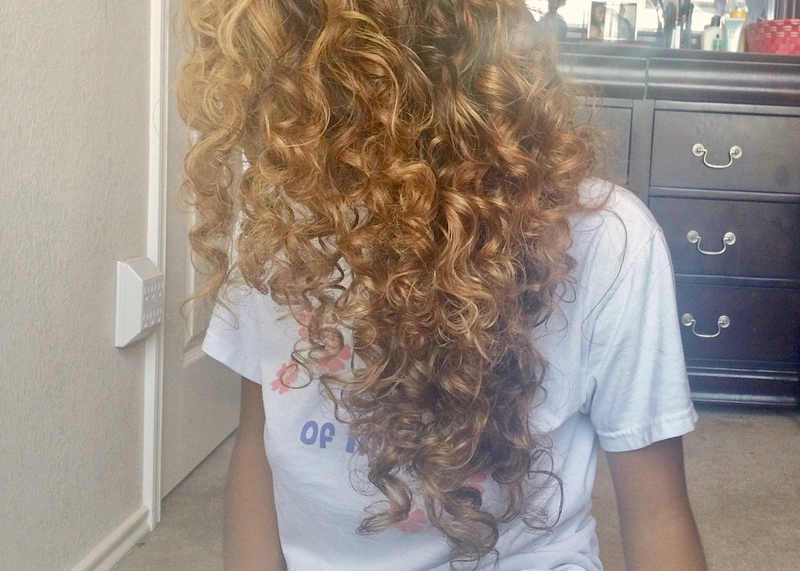 TWO: USE A SULFATE FREE SHAMPOO. 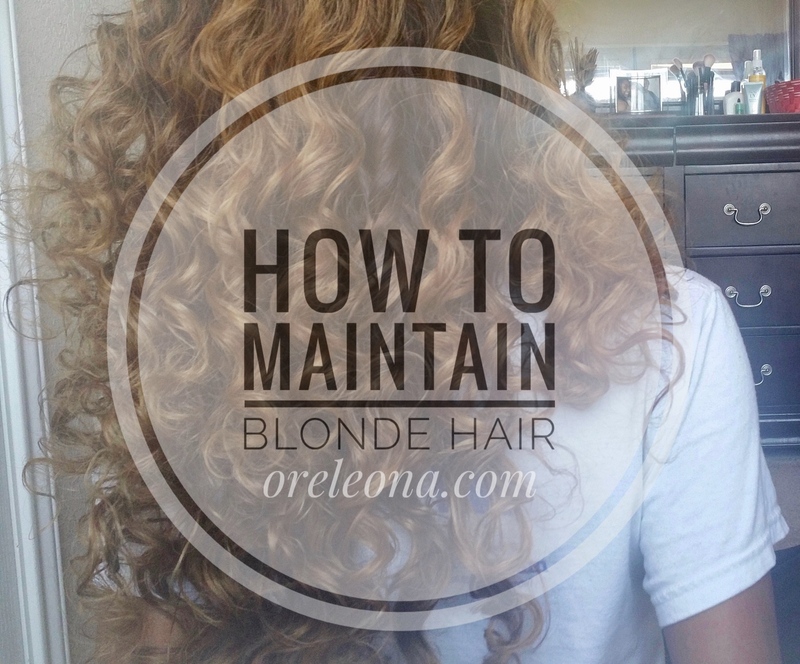 Bleached hair is usually super dry after all that processing so the goal is to maintain as much moisture as you can in order to keep it from looking like straw. Sulfate free shampoos are good at cleaning the hair without stripping out the moisture. Also sometimes its nice not to skip the shampoo as you do when you have red hair because when blonde hair is really dirty, it shows. 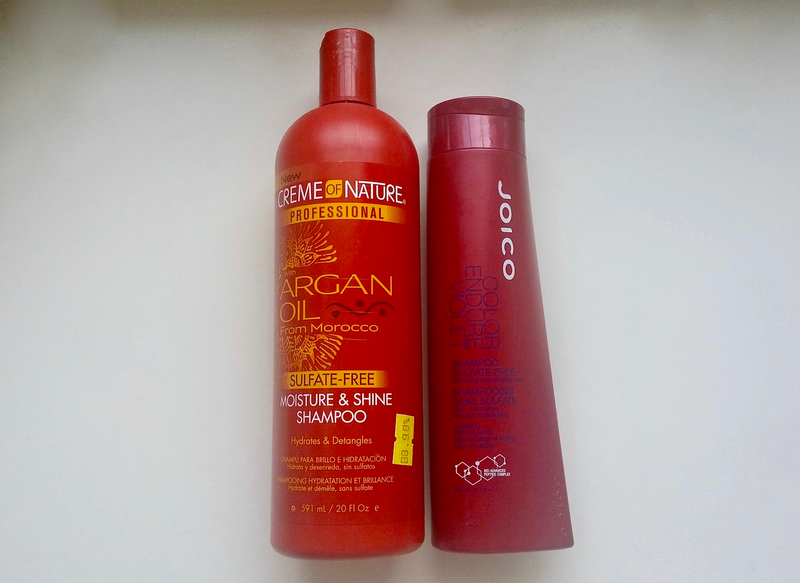 For shampoo, i love Creme of Nature Argan Oil Sulfate-Free Mositure and Shine Shampoo. I also mix it with a sulfate free purple shampoo by Joico. 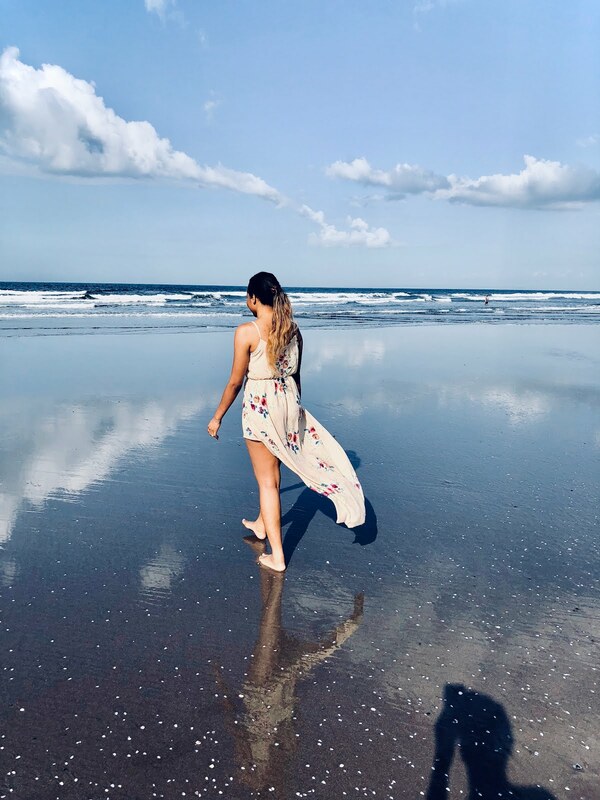 I mix them together because i find the Joico Color Endure Violet Sulfate-Free Shampoo quite drying to my hair when used alone so i just use it as a toner to remove brassy tones. THREE: DEEP CONDTION ONCE A WEEK. Bleached hair gets REALLY dry and damaged especially if it is bleached from dark brown to black hair. 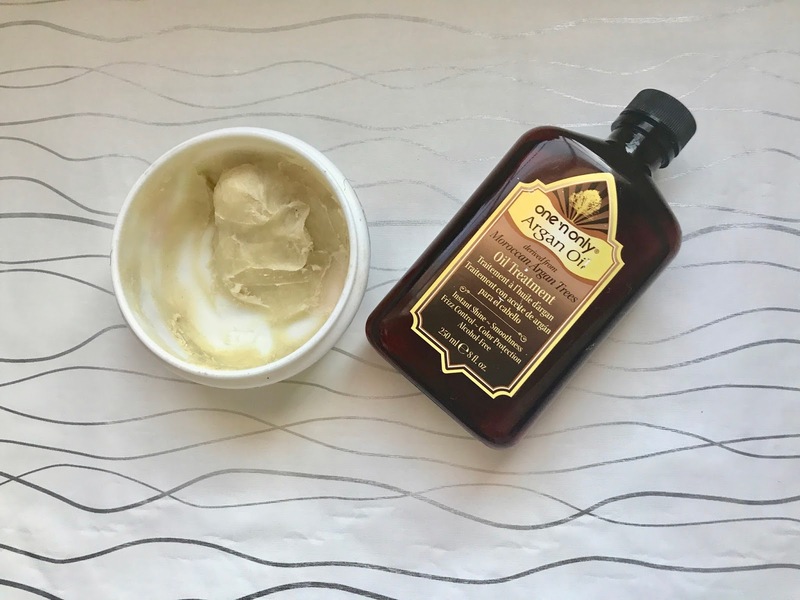 The best way to lock in moisture and repair the hair is a deep conditioner mixed with a drop of oil (this also depends on how dry or thin your hair is). I love coconut oil (LouAna Pure Coconut Oil) because i find it light enough to use when i deep condition. FOUR: PURPLE CONDITIONER IS YOUR BEST FRIEND. Clairol Professional Shimmer Lights Conditioner has been my ride or die toning conditioner for years. I love how it just lifts the brassiness off my hair and leaves the blonde vibrant, light and shiny. It is also not drying on the hair. 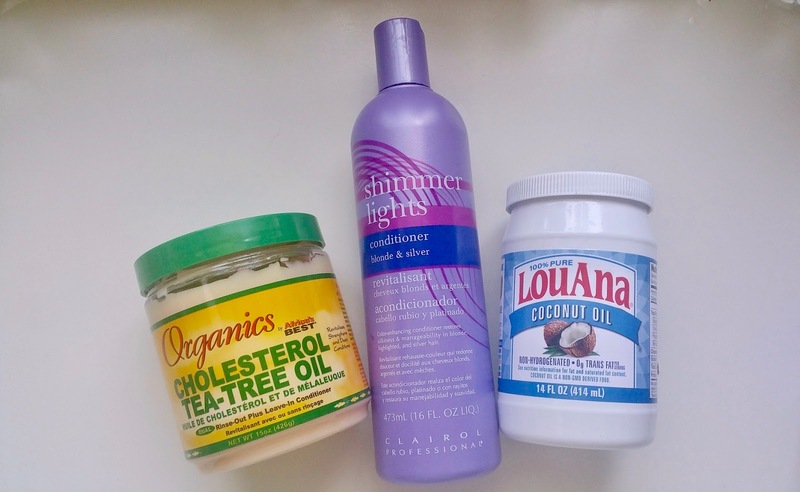 To make my conditioning step easy and stress free i mix it 50/50 with my deep conditioner (Organics by Africa's Best Cholesterol Tea Tree oil or Organics by Africa's Best Hair Mayonnaise) and leave it in for 15-45 minutes, rinse and i am done. I do this once a week to revive and maintain the blonde. FIVE: KEEP YOUR HAIR MOISTURIZED AND SHINY. This step can be done daily or after washing the hair or as needed for dry bleached hair. Depending on how dry or thick your hair is. 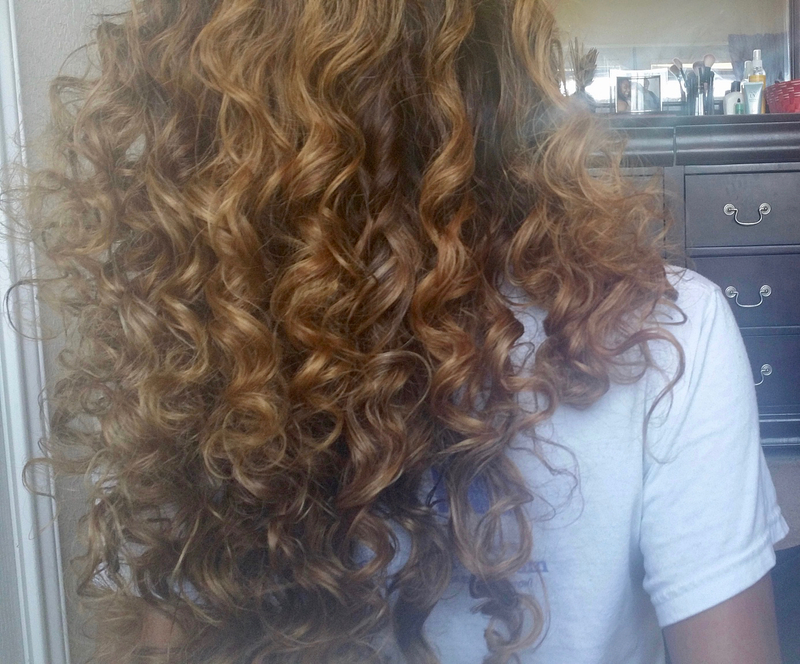 It can be mixed with a light conditioner like Suave Naturals Conditioner in Tropical Coconut. I add shea butter and a drop of argan oil (One 'N Only Argan Oil Treatment) and work from the ends to the middle of my hair. This seals the dry ends and keeps the hair shiny and moisturized. Well that's it my fair headed folks. Hope these tips help. I purposefully skipped the common ones like using UV protection hair sprays and avoiding chlorine etc but i'm sure those tips are well known.